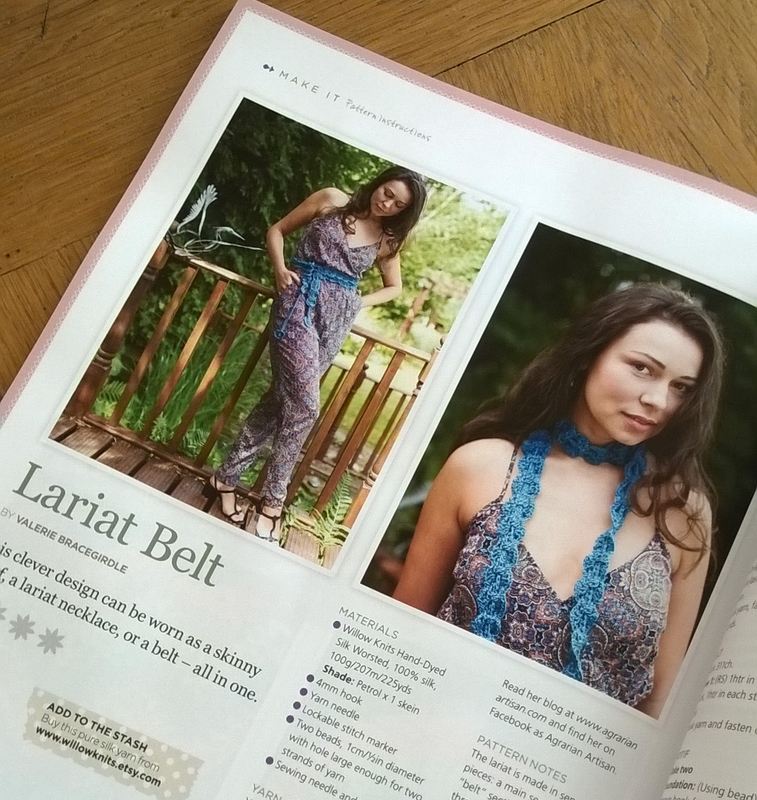 This time a month ago I was very happy that I had 2 designs feature in 2 different magazines – I blogged about it here. It felt wonderful! And I really didn’t think it could get better, but it has! 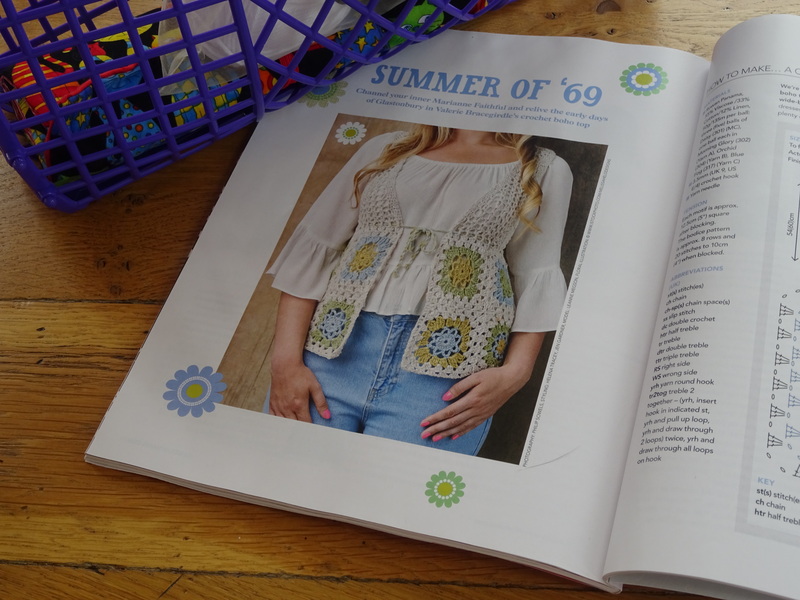 My latest design for Inside Crochet (issue 69) has made the front cover. 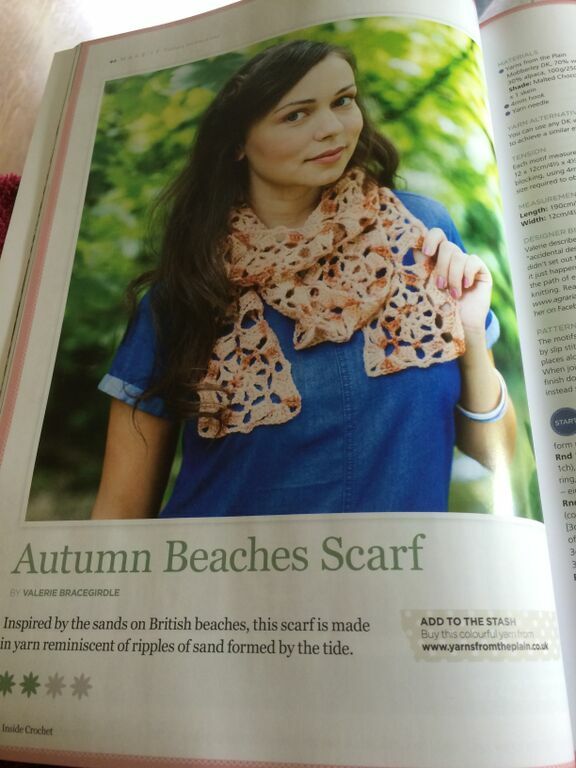 This is Autumn Beaches, a motif scarf that uses just one skein of Yarns from the Plains’ Mobberley DK. It is called Autumn Beaches because the colours of the yarn reminded me the shades in the ripples of sand created by the tide going out. It is reminiscent of childhood holidays, playing on the beach (British beaches because we never went abroad for holidays). However, this colour is called Malted Chocolate and I love chocolate so couldn’t resist! 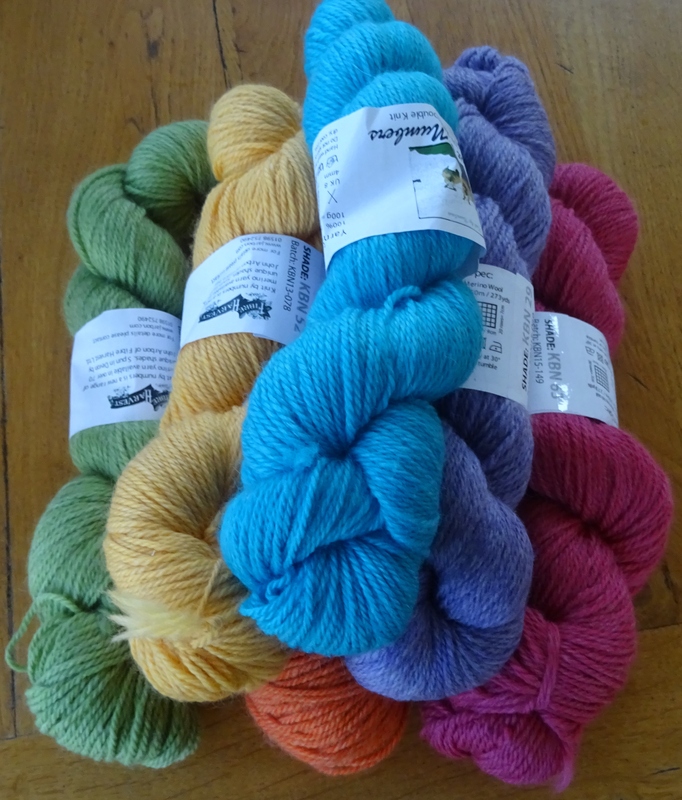 When I saw the yarn originally it wasn’t the colour name that attracted me, it was the yarn base name – Mobberley. Why? Because I live in Mobberley! Nic who owns Yarns from the Plain lives not far from me in Cheshire and all her yarn bases have names of local villages and towns, and when I saw Mobberley I just had to have a skein (mmmmm……maybe I bought more than one!). And when I touched the yarn it was so soft, it is made of 70% Exmoor blueface/30% British Alpaca and is entirely British. 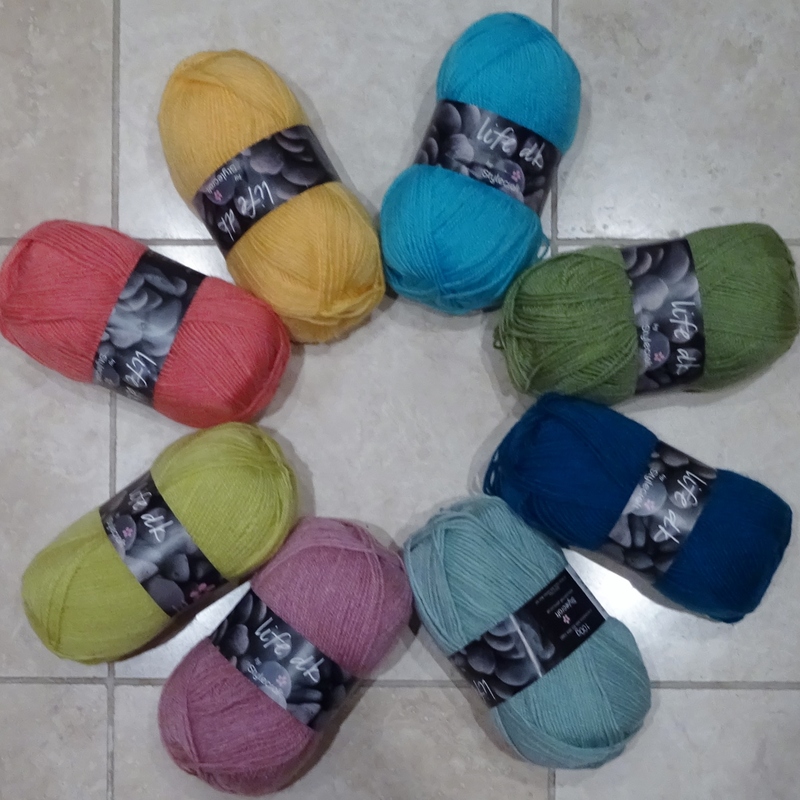 So British yarn, dyed in Cheshire, using Cheshire names and reminiscent of British beaches – it all fitted together well for me. 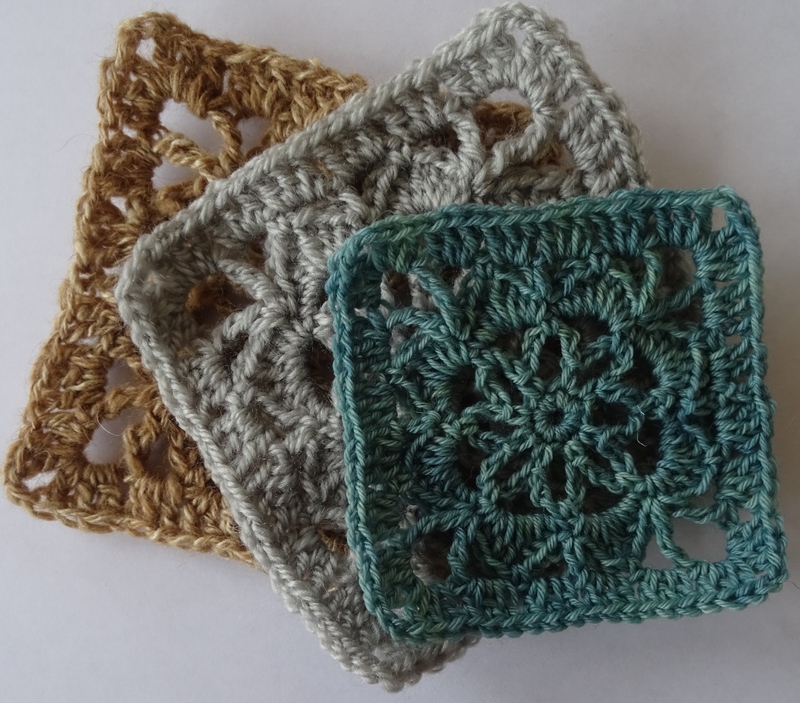 The design of the motif is one I swatched last year, ok I say ‘swatched’ when what I mean is ‘doodled’ because that’s what I do with a hook and yarn in my hand, I make crochet doodles. 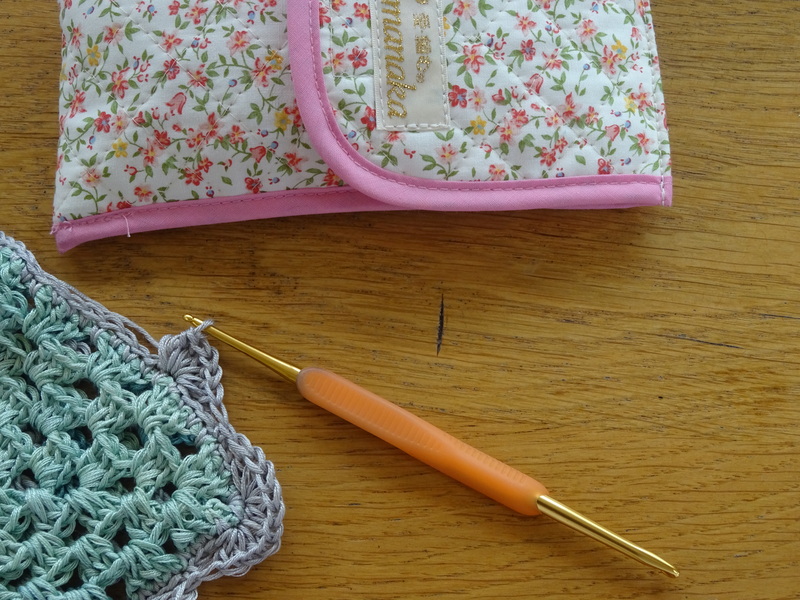 Originally I was thinking of making a small pincushion and the design was my first attempt at a crochet cover for it……..but it never made it to a pincushion. You see I doodled it in DK, and I loved the look of it in DK, so I set it aside and waited until the right yarn came along. And it did….and it was perfect. So that’s how Autumn Beaches was created. 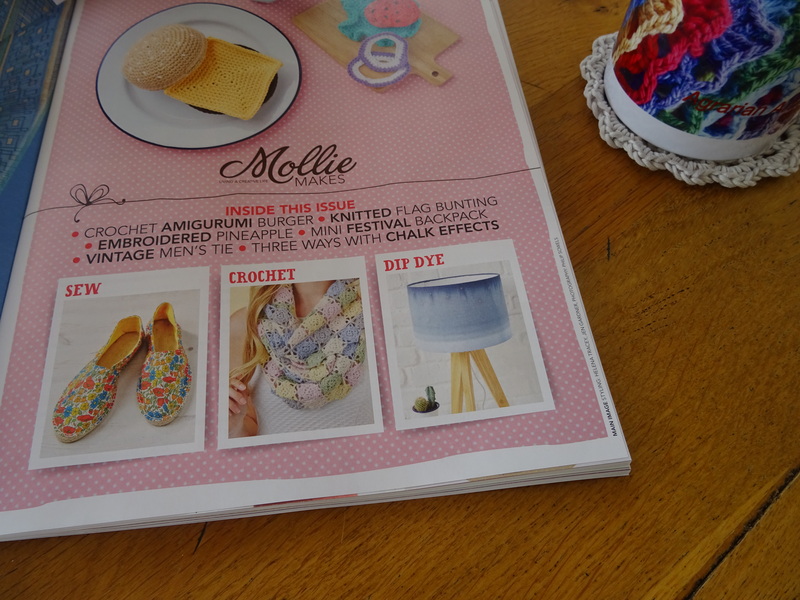 Whilst it is beautiful in the Malted Chocolate colourway, I think Nic has some fabulous colours in Mobberley DK and I would love to see the design in some of these – I love Libby and Sweeties, and my favourite is Bewitched. What colour would you choose? This is the fifth design in the Hooking Up! ebook. It is included in the book by special permission of the designer Amanda Perkins. 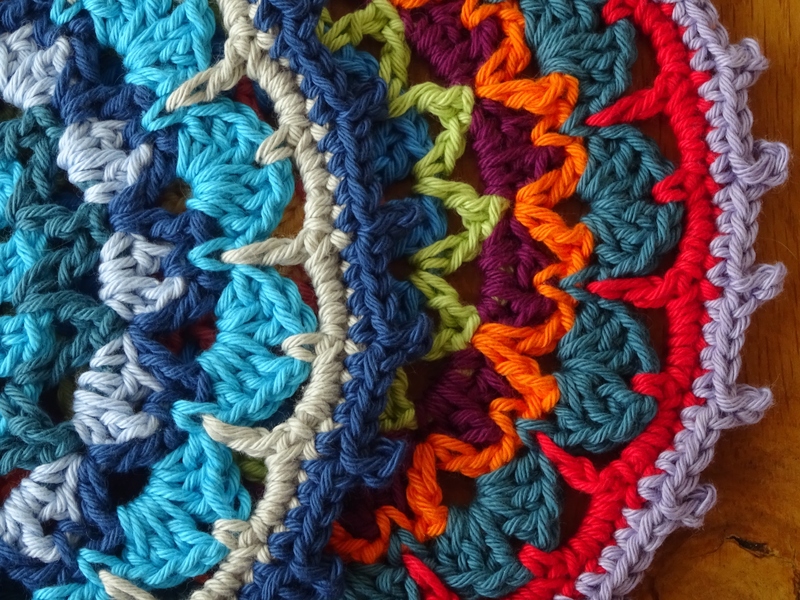 You can read all about Amanda on her blog, she creates the most beautiful crochet designs and has a brilliant eye for colour. I am proud to call her my friend and I am probably one of her biggest fans! This design is the Cassia Cowl. The photograph is the cowl I made for the ebook. 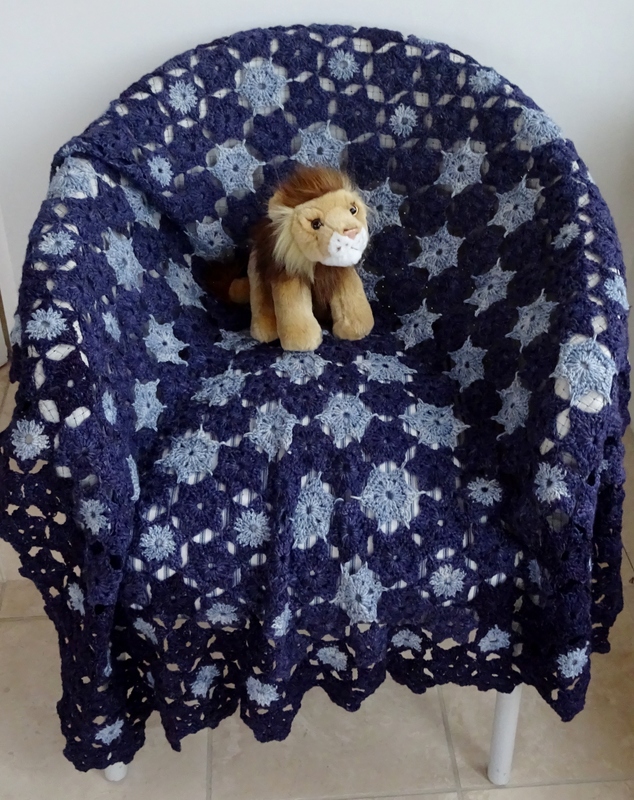 I used a different yarn to the one Amanda used originally, to show that it is adaptable and because I wanted to! It is made with motifs that are joined as you go. 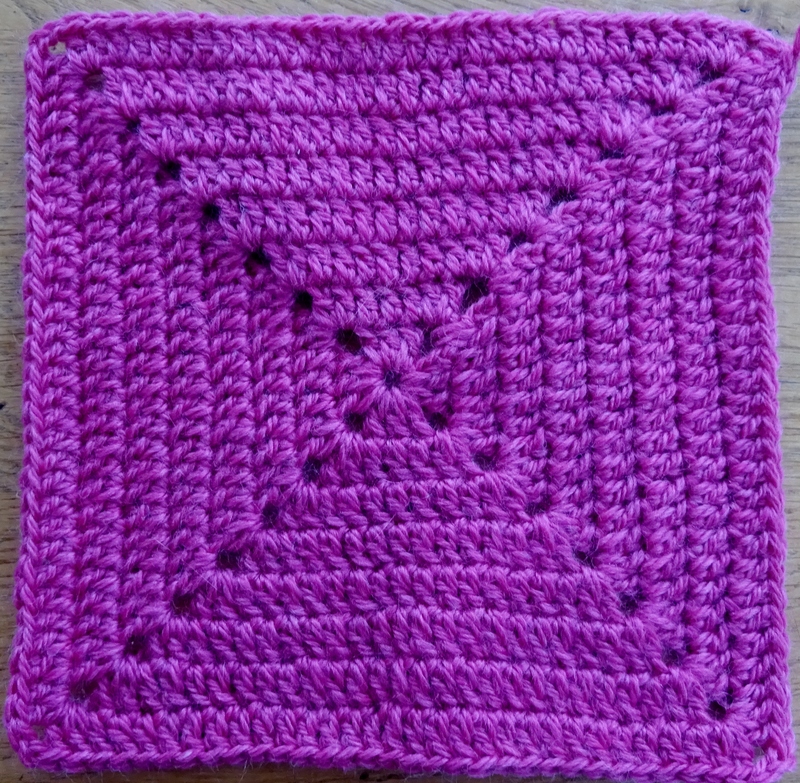 If you have followed the ebook through you will understand how to join as you go by the time you reach this pattern. I love working with motifs, especially those that are hexagonal (six-sided or six-pointed) and this one is straightforward to make yet looks so beautiful. 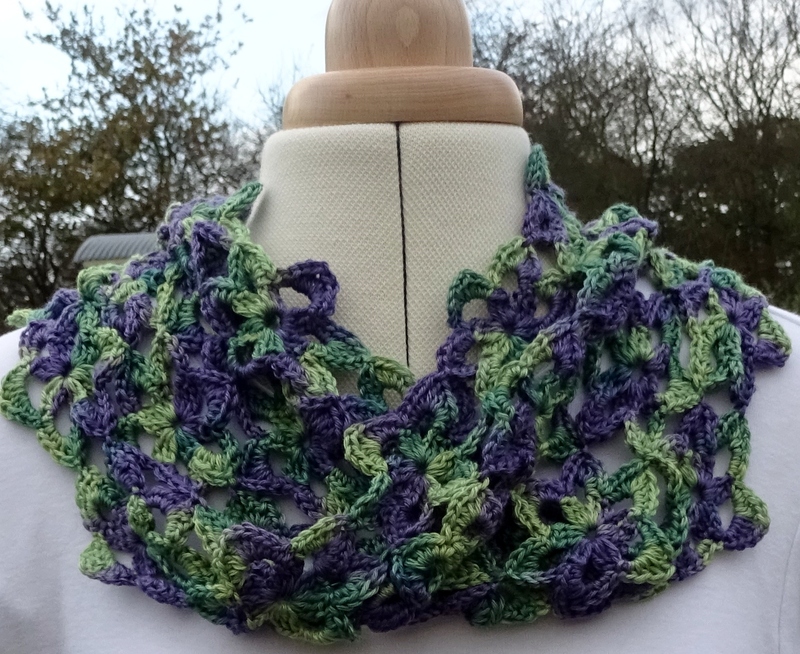 This is a Mobius Cowl, so it needs careful attention when joining into the cowl shape. 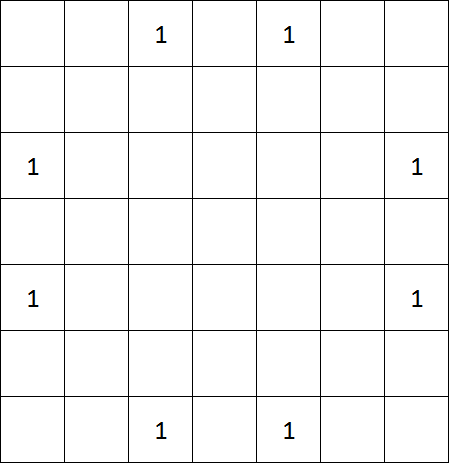 The ebook provides detailed instructions of 2 ways in which you can do this. 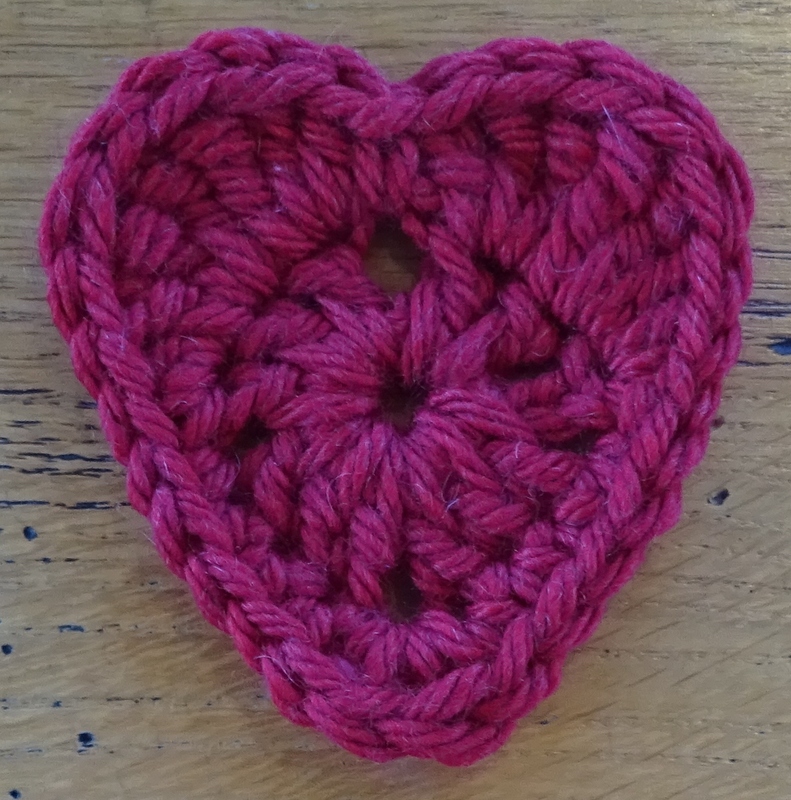 This is not exclusive to the ebook, you can buy Amanda’s individual pattern here. 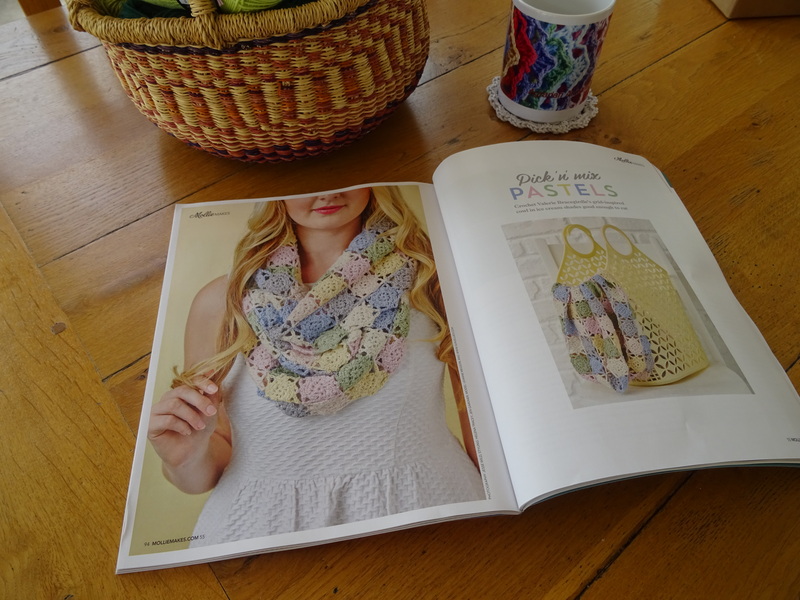 Tomorrow I will share the last design in the ebook, another by Amanda Perkins.